The Arab-Israeli conflict is often said, not just by extremists, to be the world's most dangerous conflict – and, accordingly, Israel is judged the world's most belligerent country. For example, British prime minister Tony Blair told the U.S. Congress in July 2003 that "Terrorism will not be defeated without peace in the Middle East between Israel and Palestine. Here it is that the poison is incubated. Here it is that the extremist is able to confuse in the mind of a frighteningly large number of people the case for a Palestinian state and the destruction of Israel." This viewpoint leads many Europeans, among others, to see Israel as the most menacing country on earth. *Sources: Z. Brzezinski, Out of Control: Global Turmoil on the Eve of the Twenty-first Century, 1993; S. Courtois, Le Livre Noir du Communism, 1997; G. Heinsohn, Lexikon der Völkermorde, 1999, 2nd ed. ; G. Heinsohn, Söhne und Weltmacht, 2006, 8th ed. ; R. Rummel, Death by Government, 1994; M. Small and J.D. Singer, Resort to Arms: International and Civil Wars 1816-1980, 1982; M. White, "Death Tolls for the Major Wars and Atrocities of the Twentieth Century," 2003. 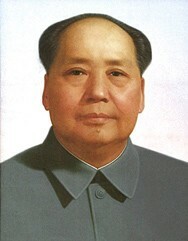 Mao Tse-Tung, by far the greatest post-1950 murderer. These figures mean that deaths in Arab-Israeli fighting since 1950 amount to just 0.06 percent of the total number of deaths in all conflicts in that period. More graphically, only 1 out of about 1,700 persons killed in conflicts since 1950 has died due to Arab-Israeli fighting. (1) Despite the relative non-lethality of the Arab-Israeli conflict, its renown, notoriety, complexity, and diplomatic centrality will probably give it continued out-sized importance in the global imagination. And Israel's reputation will continue to pay the price. (2) Still, it helps to point out the 1-in-1,700 statistic as a corrective, in the hope that one day, this reality will register, permitting the Arab-Israeli conflict to subside to its rightful, lesser place in world politics. Professor Heinsohn is director of the Raphael-Lemkin-Institut für Xenophobie- und Genozidforschung at the University of Bremen. Mr. Pipes is director of the Middle East Forum. Apr. 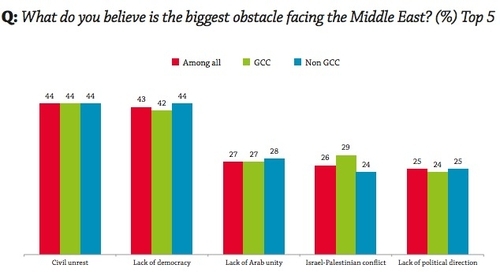 9, 2013 update: Congruent with these numbers, the ASDA'A Burson-Marsteller Arab Youth Survey 2013, titled Our Best Days Are Ahead of Us, finds that the Arab-Israeli conflict rates as concern #4 in the minds of young Arabic-speakers. The poll was conducted by Penn Schoen Berland with 3,000 face-to-face interviews between December 2012 and January 2013 with Arab men and women aged 18 to 24 in the six Gulf Cooperation Council states (Bahrain, Kuwait, Oman, Qatar, Saudi Arabia and the UAE), Egypt, Jordan, Lebanon, Libya, Iraq and Tunisia, Algeria, Morocco, and Yemen. The gender split of the survey is 60:40 male to female. The margin of error is +/-2.19%. 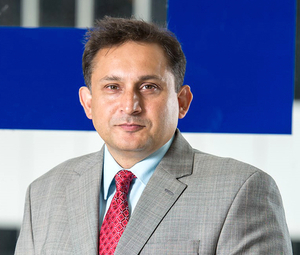 Murtaza Haider of Ryerson University, Toronto. From Aleppo in Syria to Quetta in Balochistan, Muslims are engaged in the slaughter of other Muslims. The numbers are enormous: over 93,000 killed in the Syrian civil war and over 48,000 dead in Pakistan. Millions have perished in similar intra-Muslim conflicts in the past four decades. Since the end of the Second World War, the world has moved in two distinct directions. The West, mostly Christian, has tried to minimise the intra-European conflict and has largely been successful with some exceptions. The Muslim world, on the other hand, has fallen into one violent conflict after another, involving mostly Muslims. Several intra-Muslim conflicts continue to simmer as proxy wars. In the 80s, the Iran-Iraq war alone left millions dead. More recently, a car bomb in Iraq on Sunday killed another 39 in the sectarian warfare between the Shias and Sunnis that killed at least 1,045 in May 2013. As the violence amongst Muslims increases, most Muslims prefer denial or look for scapegoats. Those in denial believe no such violence exists and the entire issue is made up by the western-controlled media. Others blame it on scapegoats – Indians and Americans are the most frequently blamed. The overwhelming evidence, however, suggests that the sectarian and tribal divisions amongst Muslims and justifying violence in the name of religion are the primary causes of why Islam is at war with itself. Why is that the belief in Islam is not sufficient to prevent violence amongst Muslims? From the very first day Muslims are taught that their belief in Islam trumps all other identities that they may hold. Their skin colour, tribe, caste or creed, none matters once they enter the fold of Islam. Why then, have millions of Muslims died at the hands of their fellow believers? Political, religious, and other leaders in the Muslim world have kept the dialogue focused on the conflicts where Muslims have been the victims. The Bosnian conflict, the communal violence in India, which has caused the death of thousands of Muslims, and the Arab-Israeli conflict have been the focus of Muslim leaders. Seldom has the dialogue focused on why Muslims kill other Muslims. And even if the topic ever comes up, it ends up being an exercise in mass scapegoating. Muslim societies have thus evolved into places where revenge is confused with justice, forgiveness with weakness, and peace with cowardice. These are the places where unholy men wage holy wars against unarmed civilians, pitching Muslims against other Muslims. Some would argue this is not the "real" Islam. Does it really matter what real Islam is when its true followers cannot stand against those who use religion to commit genocide? Comment: Such discussions are urgently needed if the blood-letting connected to Islam is to be halted.